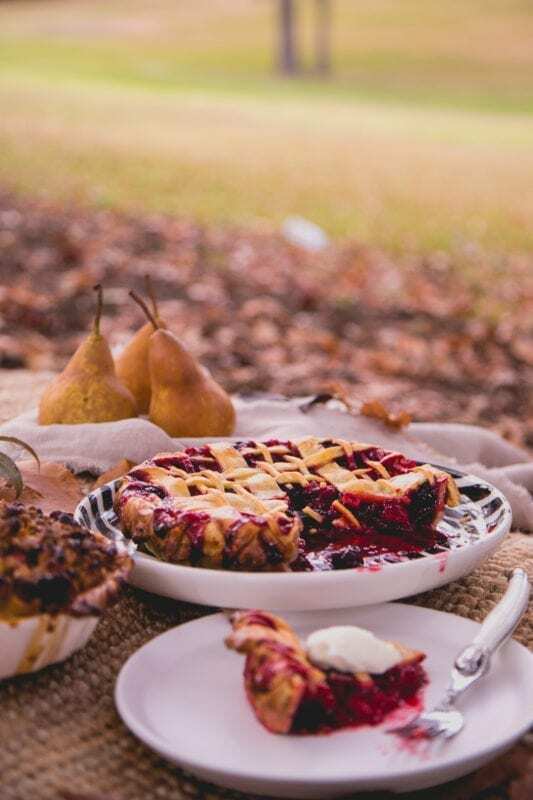 Triple Berry Pie is a Sweet Mag fave, it’s the perfect solution for when you love a warm fruity dessert on a cold day, but you want something other than an apple pie. You’ll find tapioca flour in the health food isle of most supermarkets, and if you can’t find it, substitute with cornflour. 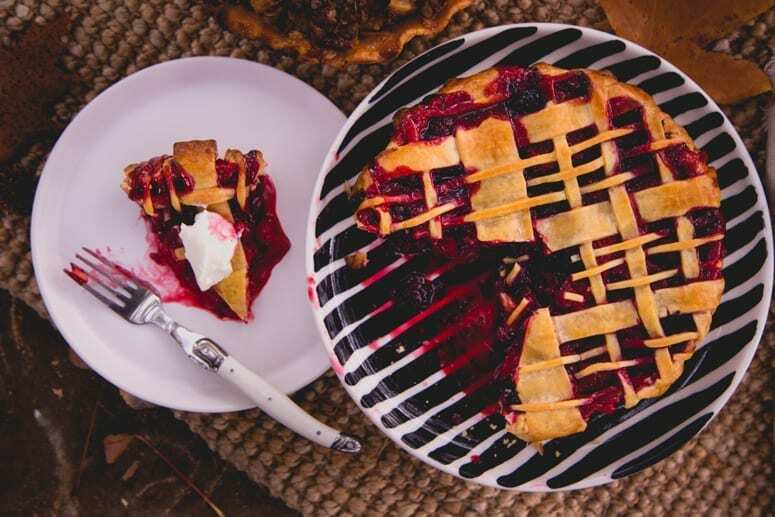 Use our perfect pie pastry if you’ve got the time, or grab some shortcrust pastry from the frozen aisle – you can still make a pretty lattice! Prepare your pie filling. We used 2 cups each of frozen blackberries, frozen raspberries and fresh strawberries. For any fresh berries, wash well and dry before using. For fresh strawberries, remove the stalk and quarter before adding to your pie filling. In a large bowl, add your prepared berries and demerara sugar, toss well to mix the sugar through the berries. Add the tapioca flour or cornflour, and toss until all the berries are completely coated in the flour. As the berries defrost, or the juices start to release, the flour will dissolve. So, give the mixture an extra toss for good measure if you’re not sure whether the flour is evenly mixed through. At this point, it’s time to pre-heat your oven to 180*C.
Add the berry mixture to a pie disk lined with the perfect pie pastry. 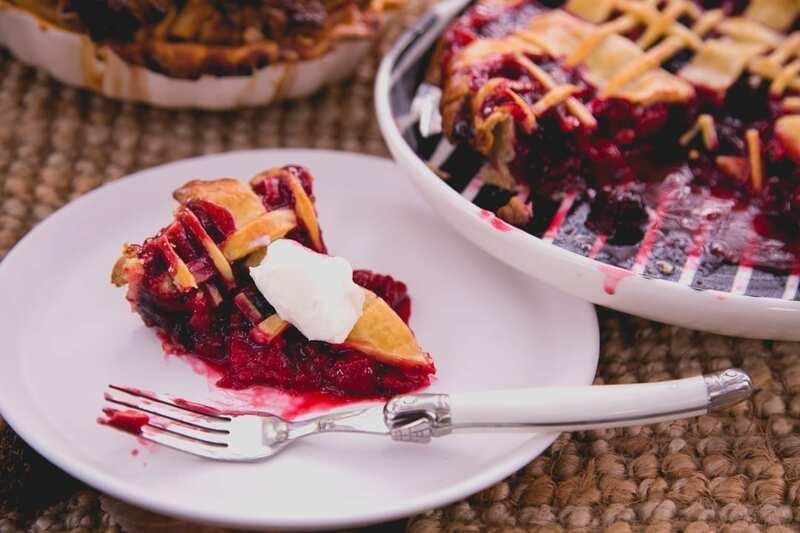 Add a lid, or lattice to your pie over the top of your filling. Brush the exposed pastry with the beaten egg, and bake for approximately 35 minutes or until the pastry is golden and the filling is gently bubbling. Allow to cool slightly before serving with double cream or ice cream, yum!